People have always gone to sea for many different reasons – for some there is still a sense of adventure, for others the challenge, while some are in for the money – and pay the cost of being away from home for long periods. What is the biggest reason people choose a career at sea today? Back in the mists of time there were as many people running away to sea…which was a euphemism for running away from their problems. Be they debt, crimes or ladies. While others were captivated by the mysteries of the deep. For many having a carer at sea and being these is an equivalent of being free. For many the sea meant freedom from oppression, and the chance to build a riches which would have been beyond them ashore. For others it was a better option than factories, squalor or agriculture. But are things so different today? Why do people still choose careers at sea, and do they like what they experience when they get there? For most new seafarers they spend only a short period at college before being sent off to see what life at sea is all about. Even with these there is quite a high drop out rate. For many it is a dream come true to graduate from a maritime school and start their career at sea. 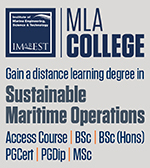 In some countries the prospective seafarers complete years of degree studies before joining their first ship. For many of them the culture shock of actually shifting out to sea and working onboard is too much, and the rate of drop out is phenomenal. So why do people today still want to pursue a career at sea? The International Chamber of Shipping (ICS) has gathered a list of all the reasons why people want to work at sea. What do you think? Are they valid or is there something they have missed? Good Wages: Wages earned by seafarers are normally above similar professions ashore. According to the ICS, in developing countries, ships’ officers working on internationally trading ships are amongst the very highest paid in their countries. Opportunities for accumulating savings, even when young, are considerable. The real value of wages may often be substantially greater because they are often tax free. Early Responsibility: Ships’ officers enjoy considerable responsibility from the start of their careers. They ensure the safety of their ships and their cargoes, the lives of their shipmates and the protection of the marine environment. Within 10 years it is possible to qualify as a Captain or Chief Engineer with total responsibility for the operation of a ship and the management and safety of its crew. Opportunities to Travel: Although modern ships spend less time in port the ICS still believes that a career in shipping gives the chance of incredible global travel. This gives seafarers the chance to experience interesting and unusual places, rather than just the typical business or holiday destinations visited by many people. Good Long Term Prospects: There is a great need for more qualified ships’ officers to meet the skills required by international shipping companies. There is a massive shortage predicted, so the demand for good people will increase. Doing Something Useful: Seafarers make a massive impact – on both their immediate vessel, but on world trade too. In most jobs it can be a struggle to see the value brought, being a seafarer makes it obvious. Career Flexibility and Job Security: Shipping is an ideal occupation for young people seeking something exciting and different to just working in an office, which in the long run will also lead to an enjoyable and well paid executive career in a major international industry. International Recognition: Ships’ officers hold internationally recognised qualifications meeting standards, so most officers are qualified to work for the thousands of international shipping companies located all around the world, on ships flying the flags of almost every country. Long Holidays: In most jobs, it is only possible to take a maximum of two or three weeks holiday at one time, but seafarers commonly enjoy generous leave or holiday periods. So while seafarers may sometimes be away from home for extended periods, they also enjoy the benefits when they come home. A Career that is Different: A ship is a unique working environment, and those working on board ship often develop lasting friendships with their colleagues and have a stimulating life which is different to the experience of many people working ashore. Transferable Skills: Qualifications and experience gained at sea are also readily transferable to other industries outside merchant shipping. Career opportunities extend to thousands of shore-based management jobs, which require people with seagoing experience. Are you happy with your career at sea? Now of course the ICS has to butter the crumpet a little, after all they want people to go to sea. So does the idealised top ten reasons to become a seafarer actually stack up? 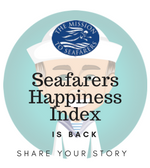 We know from the Seafarers’ Happiness Index that some of the issues raised are a tad more contentious than they are mentioned in the list. Issues such as shoreleave, fatigue, piracy and seafarer abandonment are obviously glossed over. Despite these issues people do still flock to get a career at sea – and even more so if you look at Cruise and Superyacht jobs. There is a clamour to become a seafarer and get started on the career ladder. Perhaps we shouldn’t fixate too much on what makes the job right, what makes someone a “good” seafarer? Are there definite character traits which mean someone will excel at sea? According to APL’s Head of Global Marine Operations, Captain Lee Chee Seong there is a set of characteristics which combine to make the perfect seafarer. 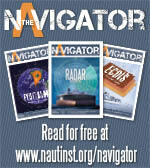 Hunger: Hunger is a key element in succeeding in the seafaring career. Hunger is what makes a candidate go ‘all out’ – to obtain and retain the job. A drive to keep on learning and growing shapes seafarers. Boldness: Seafaring is not for the shy, intimidated and fearful. A seafarer needs to possess courage and boldness as the job requires stepping out of the comfort zone – rather often. Adaptability: Seafarers work with varying cultures and must be willing and able to adapt to connect and work effectively. Think on Your Feet: A seafarer needs to be independent and able to respond fast and well. 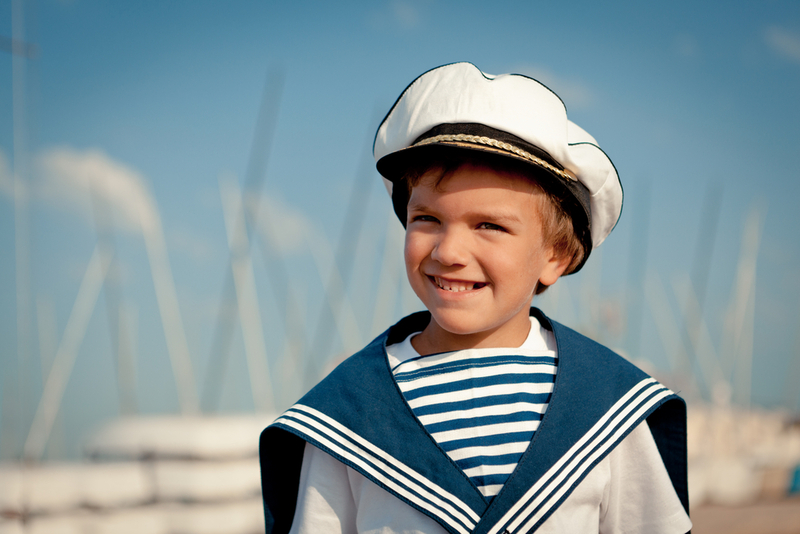 Good Command of English: A good seafarer ought to possess a good command of written and spoken English. Leadership: Leadership is another valued trait as seafarers have to lead and solve problems. The ability to thrive under pressure, is key too. Effective Team Player: Beyond leadership, a seafarer needs to be a good team player. A collaborative spirit is vital in order to work effectively on board a ship that consists of co-workers with various responsibilities and ranks. Loyalty: Loyalty is another aspect which Captain Lee values – to the company, to crewmates, to the ship, and to yourself. There is a lot to being a seafarer, the challenges are immense – it is tough, lonely, arduous and demanding. While we can debate the list of reasons to go too sea, what is certain is that there is pride in being a seafarer, and nothing should be able to take that away.